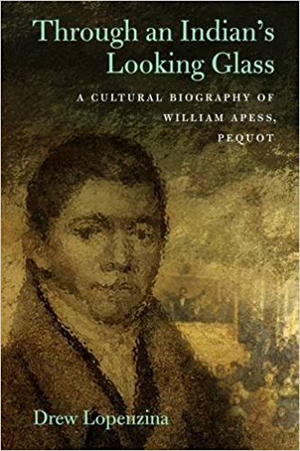 William Apess was a Pequot Minister, Author, and Activist in the first half of the nineteenth century who became the first Native of North America to begin publishing book-length narratives of his life and his advocacy for Native peoples. This page is designed to promote his accomplishments, foster awareness of his dynamic contributions to both Native American and American literature, and make available recent findings, claims, and scholarship that pertain to the growing body of work having to do with his life. It also dedicates itself to strategies of action and resistance modeled by William Apess in his life and writings, prompting the question we must ask ourselves in our own difficult times: what would William Apess do? Although the page is still under development, part of our mission right now is to raise funds for the historical marker to be erected in Colrain, Massachusetts commemorating Colrain as the place of Apess’s birth in 1798. Please check the sidebar to the right and consider donating to this project. Taput ni (Thank you) for your support. Author terryapessPosted on November 2, 2017 March 3, 2018 1 Comment on What Would William Apess Do? The irony hasn’t been lost on me that, even as an historical marker is finally being raised in three weeks to commemorate William Apess’ birth in Colrain, MA the U.S. government has moved to dissolve the standing of the Mashpee Wampanoags who adopted Apess in the 1830’s and fought alongside him to throw off the regime of colonial “guardians” or overseers who had kept them in a state of peonage for nearly a century. Mashpee was the place where all of Apess’ skill, experience, and leadership abilities as an advocate for social change came to fruition. In his time, social media consisted of notices nailed on trees, formal signed petititions, and fiery backwoods sermons, but Apess was able to influence public opinion over a large geographic range in a way that helped the Mashpee reassert their sovereignty in the public sphere. To see this swept away now, with such callous disregard for law and custom is just another emblem of the reckless times in which we live under a self-serving president who cannot even speak of indigenous identity without rendering it a slur. I don’t have to ask what Apess Would Do if he were here today. He would stand with Mashpee. I want to sincerely thank everyone here who pitched in to the Apess campaign to place an historical marker up in Colrain, MA commemorating Colrain as the place of William Apess’ birth in 1798. The marker has been purchased with the funds we raised together and it is scheduled to go up on the front lawn of the Griswold Memorial Library on Saturday October 13th of this year. I’d like to make this an event, a ceremony, and a celebration of continued indigenous presence in the region–so please mark it on your calendars and, if you can, come join us on October 13th. It may also be your last chance to pick up one of these fashionable What Would Apess Do t-shirts. More info to come. Tonight the Colrain Historical Commission will be meeting to discuss, among other things I imagine, the location of the Apess Historical Marker in the town of Colrain, MA where William Apess was born. I wish I could be there, but living 550 miles away makes it difficult for me to attend. Still I appreciate their continued support on this project from start to near-finish. The Colrain Historical Commission, with the help of Liz Sonnenberg, were the first to invite me to come speak about my research on Through an Indian’s Looking-Glass back in 2016, before the book was even published. I am so grateful for their sustained interest in devoting public space to remembering Apess’s legacy and his connection to Colrain. Your donation to the Historical Marker Go Fund Me Site will contribute towards the erection of the William Apess historical marker (shown in image) that will be erected in Colrain, Massachusetts, place of William Apess’ birth. Our goal is to reach $3,000.00 to cover the cost of the sign and its presentation in the Colrain town square. Great to hear Gerald Vizenor quoted on his theory of “transmotion” during the dedication ceremony yesterday for the Virginia Indian Tribute Monument (otherwise known as “Mantle”) on the Capital Square grounds in front of the State House in Richmond. Not often that you get to hear Vizenor mentioned in a public speech in the shadow of power, but the artist, Alan Michelson, who is Mohawk, had some poignant things to say about the placing of this monument here on capital grounds.The “Mantle” title is meant to invoke Powhatan’s Mantle–a deerskin cloak belonging to the Cheif of the Powhatan confederacy at the time of English Settlement. But the spiral design and the water running through it is also designed to suggest the unending motion, migration, and transformation of Native peoples whose nations continue to grow and thrive despite 500 years of settler intrusion on this space. The Governor also spoke some choice words and Cheif Ken Adams of the Upper Mattaponi tribe offered a blessing. Nice to see all those who turned out on this blustery day for a rather cool and long-awaited marking on earth.